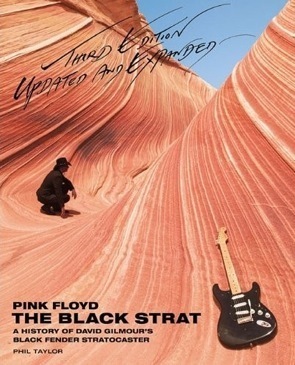 Written to accompany the long awaited Fender 'David Gilmour Signature Stratocaster Guitar'. 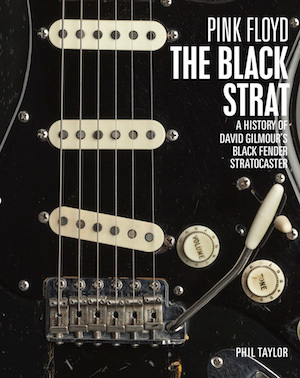 The Black Strat 3rd edition book tells the official chronological story of Pink Floyd guitarist David Gilmour’s favourite legendary Black Stratocaster from 1970 to 2010. Written by Phil Taylor - David’s personal guitar technician and the band’s chief backline tech since 1974 - the only person to know Pink Floyd’s equipment better than the band themselves. David’s Black Strat featured on Pink Floyd tours and iconic albums including Meddle, Atom Heart Mother, Obscured By Clouds, The Dark Side Of The Moon, Wish You Were Here, Animals and The Wall. 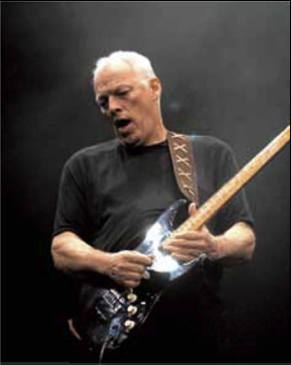 It was also used on David’s solo projects: David Gilmour, About Face and On An Island. It can be seen in the film Pink Floyd: Live at Pompeii, at the 2005 Live 8 Pink Floyd reunion and on David’s Remember That Night and Live in Gdansk dvd’s . Editions one, two & three are out of print and out of stock. The Endless River and Rattle That Lock. the Black Strat in 1972.